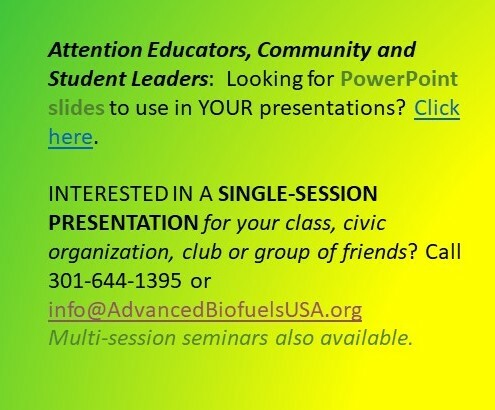 by Michael Eggleston* (Advanced Biofuels USA) With over 260 million cars on the road in Europe, industry leaders and governmental representatives alike are putting the Renewable Energy Directive (RED II) under fire for its lack of clarity surrounding its impact on defossilizing the transportation sector. Included in the proposed legislation is the fate of Carbon Capture and Utilization (CCU). CCU is a process that captures carbon dioxide (CO2) emissions from sources like coal-fired power plants and reuses it in other forms such as fuels, chemicals and polymers. 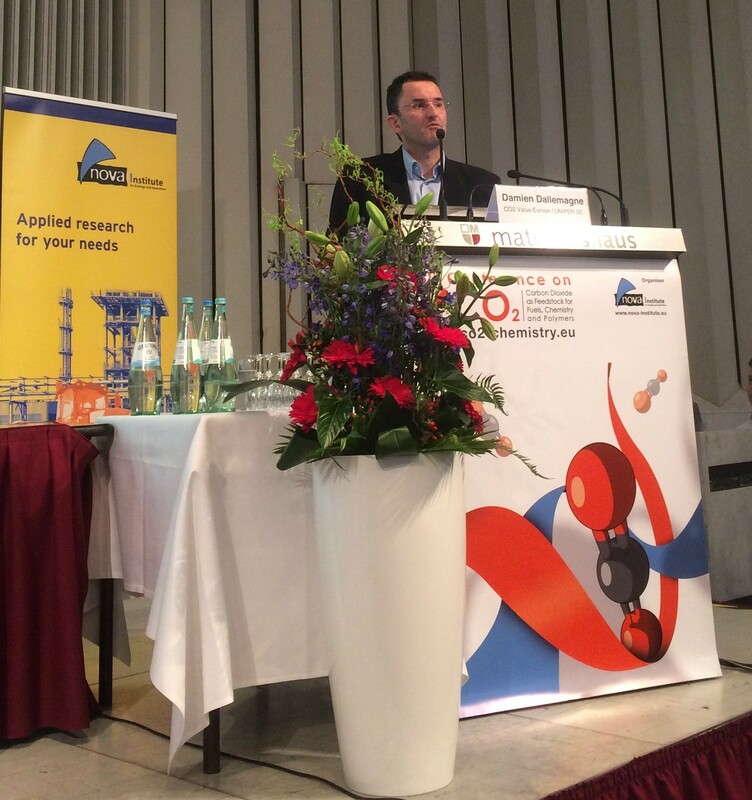 On March 15th, over 163 delegates came together in Cologne, Germany to discuss CCU’s technological barriers, policy recommendations and their hopes for the future at nova-Institute’s 6th Annual Conference on CO2 as a Feedstock for Fuels, Chemicals and Polymers. Opening up the conference, Chief Executive Officer for the Institute, Michael Carus, stated that from an ecological point of view, there is still a considerable need to discuss how CCU processes can be assessed. With a technology challenged economically by limited incentives and a lack of interaction between the private and public sectors, Project Manager for VITO, Heleen de Wever, encouraged the development of CCU life cycle analysis (LCA) and the importance of promoting demonstration projects by the private sector. Representing interests of the private sector, Secretary General for CO2 Value Europe, Damien Dallemagne, introduced his hopes for creating a platform for competing firms to come together to contribute to creating a common understanding and future outlook for CCU technology. Usually buried under a multitude of business plans, CCU lacks the focus it needs to mature to become readily available on the market, Dallemagne expressed. It came as no surprise to me during open discussions that many delegates were concerned about a lack of a European energy-security strategy following the confusion of CCU’s technological integrity. Sharing his inside experience with the on-going trilogues of RED II, the Chief Commercial Officer for Sunfire GmbH, Nils Aldag, was very displeased with how CCU is being treated in the proposed legislation. The European Parliament’s recent draft states that CO2 should only be sequestered from ambient air. Aldag argued that the proposed legislation would deter investors by increasing the up-front costs in a bottom-up approach rather than immediately capturing CO2 from industries that are in need of support to decrease their carbon footprints. Another ongoing conversation about the proposed legislation is the origin of electricity. Aldag mentioned that there is a strong bias for CCU to be supported by individual firms themselves, who would purchase the renewable electricity infrastructure needed, rather than being supported by decentralized producers, who all contribute to a renewable energy grid. Despite politically discussed assurance of a technological neutral approach, Aldag disclosed that the Parliament also argues that fuels made from CCU should not be used in the passenger transport sector within the short or long-term strategies of the EU meeting the Paris Climate Accord’s Two-Degree Scenario (2DS). 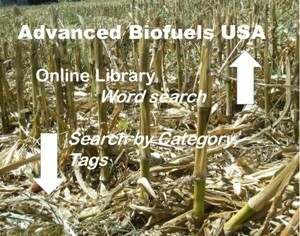 Although the proposed legislation included minimum sub-targets for advanced biofuels, he stated there is no target that included fuels made from CCU. Currently there is a strong bias towards renewable electricity technologies with talk of doubling their multiplier while CCU is being left out of the conversation despite its potential to encourage the development of renewable electricity infrastructure. A multiplier simply implies that whatever greenhouse gas (GHG) emissions savings a technology might bring about, its impact would be multiplied by however much its corresponding policy dictates; thus making a bias towards developing that technology. Aldag recommended starting an on-going conversation within the industry to define what sources of carbon are avoidable and unavoidable and also to develop a common definition of how CCU is produced from waste. 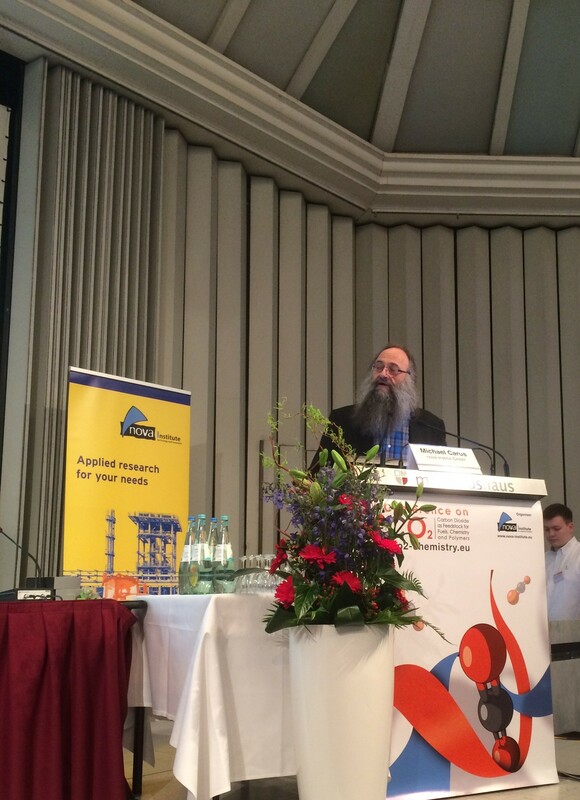 Listen to Aldag discuss his hopes and suggestions for CCU technology in the EU political framework. 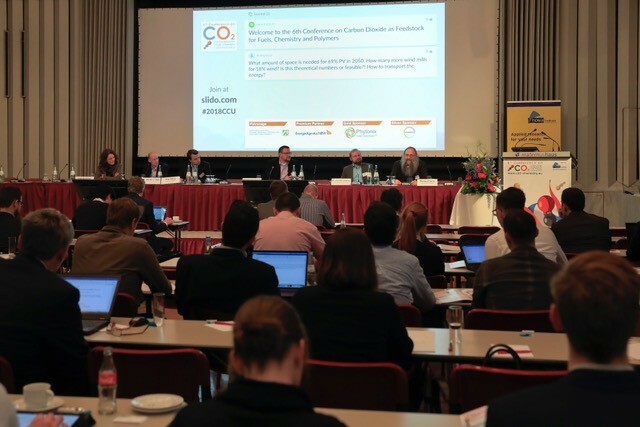 With no foreseeable way to move forward with the EU’s climate mitigation strategy after 2020, CCU will remain underappreciated unless conversations between the private and public sector take place more frequently surrounding the results of demonstration projects, development of LCA and a universal framework of shared know-how between cross-sectoral businesses. In order to jump-start action, Michael Carus proposed the development of a clear, concise and convincing document to present to politicians involved in the ongoing RED II trilogues in order to encourage the adoption of CCU technology. Listen to Carus’ proposal. The on-going trilogues of RED II are planned to be concluded by June of this year and official documents outlining the EU’s policy will be published by the end of this year. The nova-Institute is a private and independent research institute founded in 1994: nova-Institute offers research and consultancy with a focus on bio-based and CO2-based economy in the fields of food and feedstock, techno-economic evaluation, markets, sustainability, dissemination, B2B communication and policy. 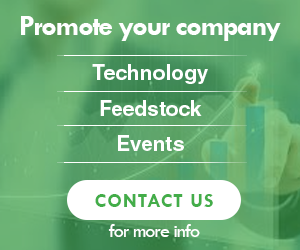 Every year, nova-Institute organizes several large conferences on these topics; nova-Institute has 30 employees and an annual turnover of more than 2.5 million €. As a worldwide first, they published a study on CO2 as a chemical feedstock for polymers – technologies, polymers, developers and producers. 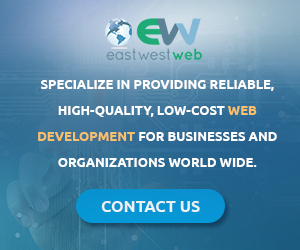 This status report investigates a completely new and growing sector with high economic and sustainability potential. The presentations will be available at www.bio-based.eu/proceedings. They are free of charge for all participants and will be available for 150€ for those who could not attend. 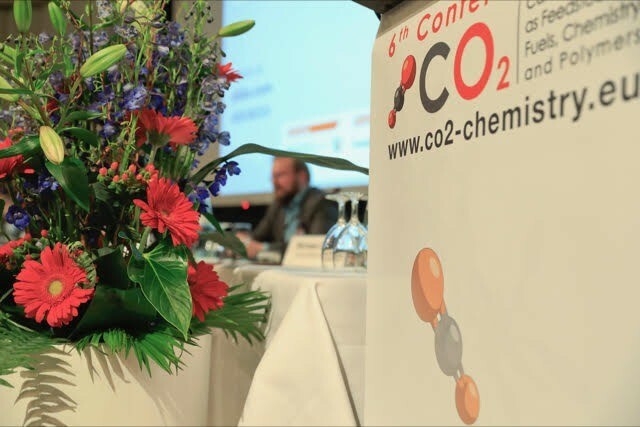 The 7th Conference on Carbon Dioxide as Feedstock for Fuels, Chemistry and Polymers will take place again in Cologne next year from 20th-21st March, 2019. More information can be found here.